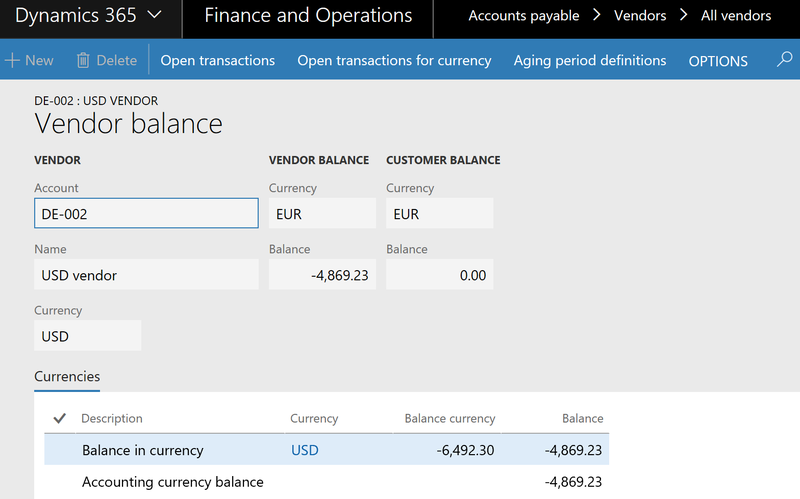 Want to understand foreign currency revaluation in Microsoft Dynamics 365 for Finance and Operations? Here are some cases that are sure to help. In order to keep an updated record of the value of all open transactions in your accounting currency, at the end of each accounting period, your company will run Foreign currency revaluation process in AX. What the system will do: the value of all open transactions (in our case it’s USD 6.492,30) will be translated into the accounting currency using the current spot exchange rate (let’s say 79 exchange rate). Foreign currency revaluation (FX revaluation) result will be directly booked on the transaction and will be a part of AR/AP balance. Let’s make sure that setup is corresponding to the example above. The currency exchange rate that will be used upon revaluation is 79. 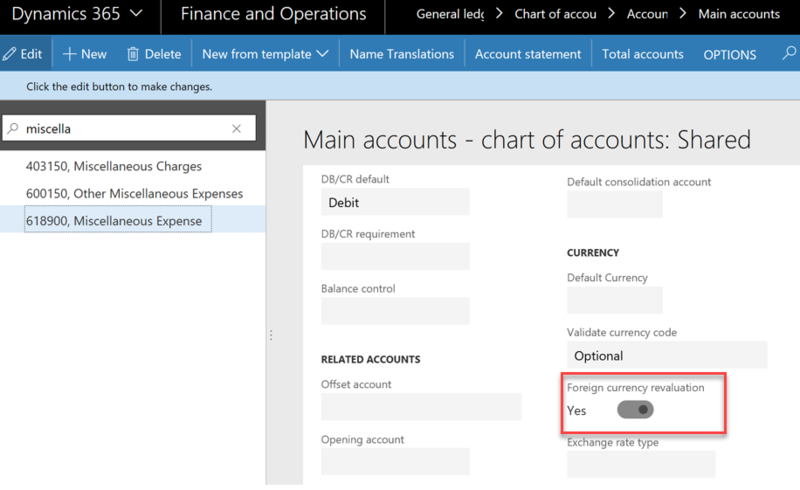 Account balances in foreign currencies can be revalued in General ledger module. As the result, all accounts that are marked as Foreign currency revaluation will be included into this process. Also, this process needs to be run in the Accounts payable and Accounts receivable separately to revalue the outstanding AR / AP transactions. Accounting entry will consist of the main account being revalued and unrealized gain or loss. Highlight the completed Foreign currency revaluation task. Within this process, each accounts payable transaction will be revalued. If you check Vendor transactions, you will notice that additional transaction is being created for the delta between the balance of the main account and the new value based on the exchange rate for the Date of Rate. Vendor balance will be affected as well. Let’s imagine that this transaction was revaluated again in the next period. For this scenario, the exchange rate was slightly dropped off. We would expect to have 259.69 posted as an unrealized gain. Now, you will notice the difference between General ledger foreign currency revaluation process and Accounts payable. Thank you Galyna for writing such a wonderful blog. I have a query. I got vendor financial dimension on vendor invoice, however it didn’t flow to the unrealized gains and losses vouchers when I performed the foreign currency revaluation job. Is it something configurable in standard or a bug?